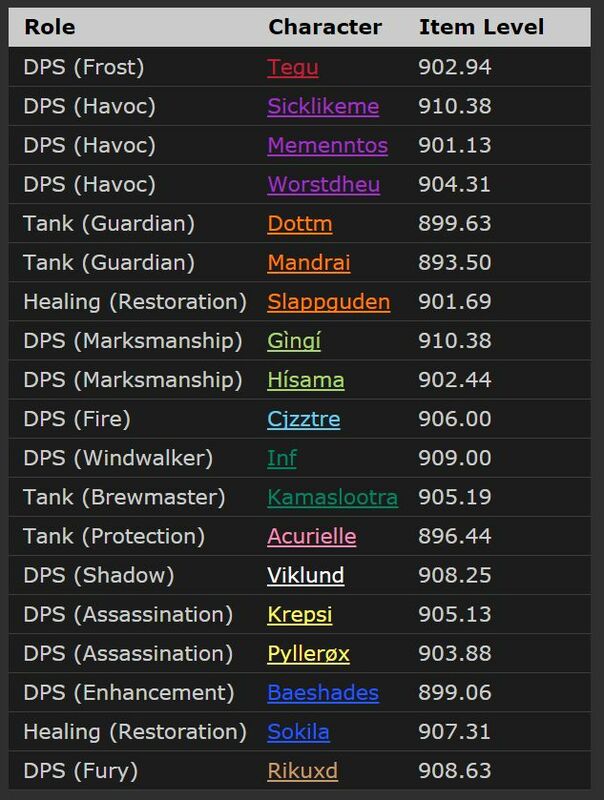 The top 3 guilds released kill videos for Gul'dan and had some different raid compositions, so they're worth comparing as well. After the other day's leak by From Scratch we had another problem with the kill videos, as Exorsus released theirs a while ago, but then got a lot of complaints of screen shaking effects their video editor used and so they took that down while they re-rendered it without said effects. The new one is here now and both Serenity and Method released their video in the meantime, with Method's containing a whopping 11 PoVs! The videos are worth comparing also, since Exorsus had a pretty different composition to the two other guilds, as you can see below the videos. Serenity will also be releasing a more official vid soon, so I'll update the post when they do. You can also read a bit more about the last few days of the race, drama etc in our most recent summary. 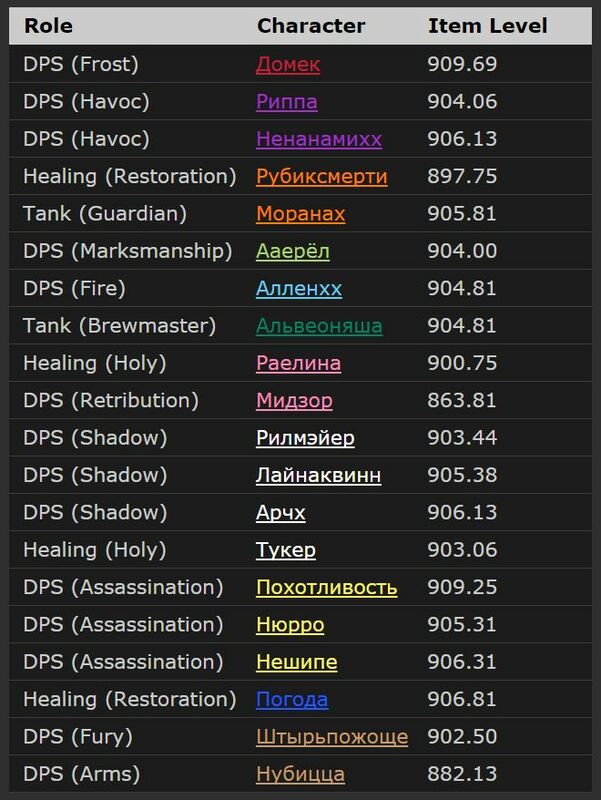 Exorsus had 863 ilvl Retribution Paladin and an 882 Arm Warrior? Is that right or an armory bug. No other member on any other team is below 893 with only 4 total across the other two teams below 900. 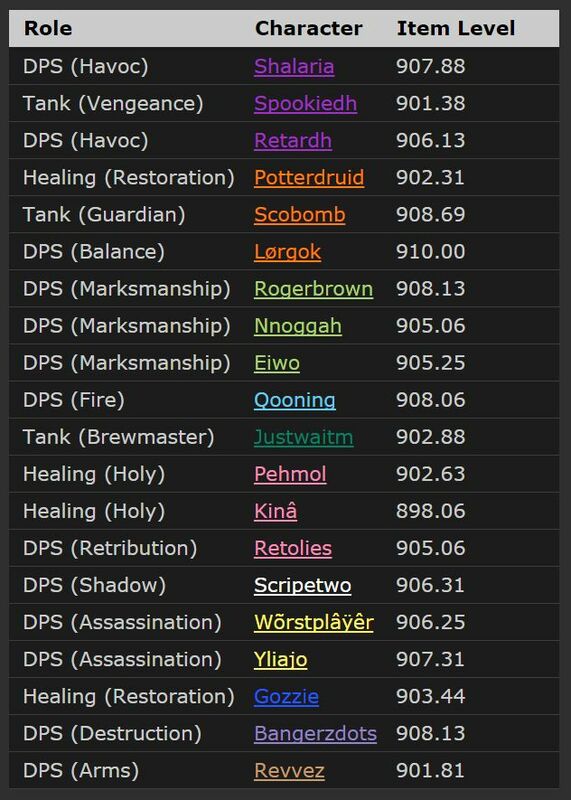 That's probable an armory bug thing, considering the Ret pally is 910 equipped right now. I'm also pretty certain that Serenity didn't use 4 tanks, since in their video Acurielle was Holy and Mandrai was Resto. Does any1 know how Exorsus do this "cinematic" intro? I mean... how they can record like a spectator as the fight goes on?